Monday I got a cortisone shot in my problem-child shoulder because, after months of improvement, it's starting to get worse--and now my right shoulder is hurting too. I've tried to stay away from my computer at the desk in my office, sending emails and FB/Twitter updates from my iPhone and iPad, but I can't write blog posts on the iPad (it's not compatible with Blogger). And the pen device that should have allowed me to write posts long-hand and then upload the post to the computer is a lot of hooey. It works great if your handwriting is careful and precise. Have you ever tried to be creative while also being careful and precise? If you can do all that at once, you're a freak. And if you're pretty too, well it's not fair. The cortisone shot is also a lot of hooey (which is my word for the day). If my shoulder improved at all after the shot, it was fleeting. After two days I now have the same stabbing pain in my deltoids when I try to lift my arm as I did before the shot. Friends say acupuncture, acupuncture, acupuncture; I say pathological fear of needles, pathological fear of needles, etc. How bad does it have to get before I shout, "Make me a pin cushion!"? Now is really not the time to have a debilitating shoulder problem. I have a few things on my plate which need to be eaten, which require my body to be writing stories, editing a blog carnival, mowing the lawn, renovating a guest room. And, as I've mentioned, I'm publishing a book this summer. What to do? Buck up. Bite proverbial bullet (not to self: buy bullets). That's right. Buck up. Plow through and get things done. Write fast and get away from the computer. And speaking of getting away from the computer, next week I'm off to Ibiza. This will be the third-time's-the-charm trip. We've planned two trips to this party mecca in the Balearic Islands that ended up falling through. If this trip doesn't happen, I think I'll simply put the island on my list of lost hopes (with PANK magazine and meeting Billy Bryson). I know how to tell people about my gluten situation in Spanish, so I'm set for Ibiza; but at the beginning of June I'm off to Japan. For the first time in my life as a Gluten-Free Traveler, I'm resorting to the Gluten-Free Restaurant Cards I've heard so much about from other Celiacs. And I've found a GREAT WEBSITE for Celiacs who travel. I'm downloading the card for Japanese right now and would like to send out a heartfelt thank you to Roger and Lyndsay at CeliacTravel.com for making these cards in so many languages. I hope the Japanese card doesn't say "Take me in the back and make a Maki Sushi roll out of me." That would be funny (for everyone except me, I suppose). So that's what's for dinner in the next few weeks. If you're looking for something to read today, check out my story "The Whiter Places," which won the Cazart Short Story Contest recently. Or you can order Julie Innis's new collection of short stories, Three Squares a Day With Occasional Torture. Or! 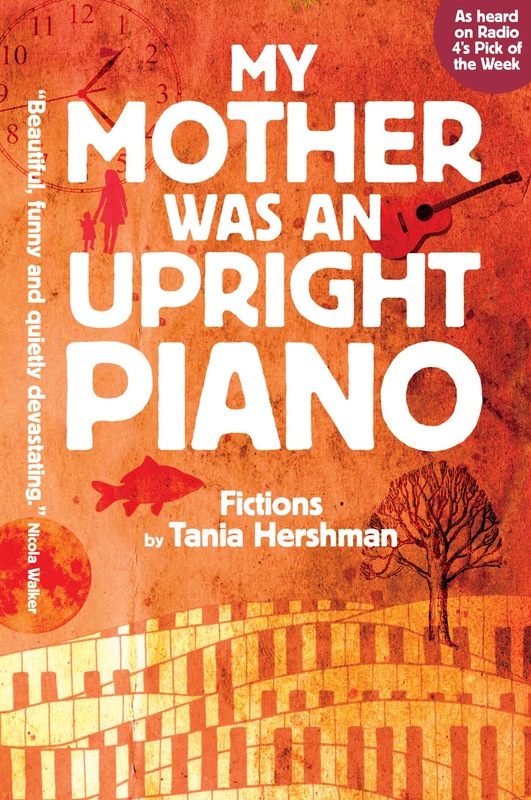 You could get Tania Hershman's My Mother was an Upright Piano. Christopher Allen is the author of Conversations with S. Teri O'Type. He writes fiction, creative non-fiction and of course this here blog. His work has appeared in numerous places both online and in print. Read more about him HERE. Ah! You're the one with the voodoo doll! Could you take it out of my left shoulder for the weekend?